Anti-Vibrartion System (AVS) Patented linear balancing system eliminates side-to-side motion of traditional counter and rotating balancing engines to provide a smooth ride. 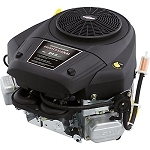 Improved Breather System Lowers oil consumption and reduces emissions. Dura-BoreTM Cast Iron Cylinder Sleeve Withstands wear and abuse while providing improved oil control. 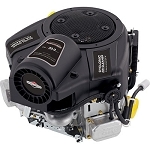 High-Capacity Dual-Clean Top-Loading Air Cleaner Unique design features an automotive-style filter and debris ejection slot with easy access for maintenance. 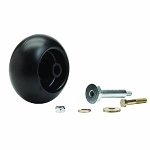 Resin Blower Housing Durable and dent resistant. Heavy-Duty Upper Bearing Self-lubricating upper bearing is made of steel-backed Teflon coated bronze to withstand load and reduce wear. 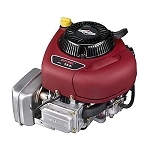 Mechanical Compression Release Provides smooth, easy starts and ensures engine reaches maximum power instantly. 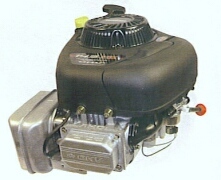 Mechanical Governor Controls the throttle to deliver more power for heavy mowing conditions. 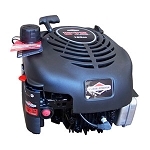 Magnetron Electronic Ignition System Ensures dependable starts with no maintenance required. Lube Power Lubrication System Gear-driven system continuously supplies oil to all internal engine parts for extra protection and long life. Large Crankshaft Pin Strengthens crankshaft for a longer lasting engine.